Seru is a 4 year old boy. Along with his mother and 3 brothers and sisters, Seru became homeless after the recent tragic death of his father. The family is currently living in a run down dwelling and relying on neighbours for food. Seru is a delightful little boy who loves to join in games with other children. 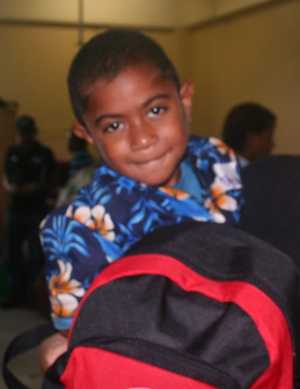 Seru is due to start school in 2012. 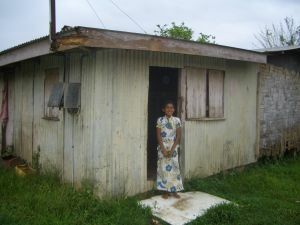 The home Seru shares with his family. Please sponsor Seru and give him the education that every child deserves.